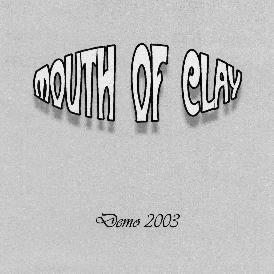 Mouth of Clay are from Sweden and have been around for 3 years and have recorded a few things and had a lot of people leave and the drummer lose his arm to flesh eating bacteria but they did not stop! While none of the original members are in the current line up the band are still rocking. This demo was recorded earlier this year and the band are currently in the studio now. Classic 70’s hard rock sound with strong vocals and grooves. The CD opens with "Woman In Green" and features a great wah guitar break and excellent use of the piano. "Black Rose" is an exceptional song, reminding me of the feel that Warren Haynes achieves with his songs. A great ballad with a nice piano line and vocals and a fantastic heartfelt guitar solo! One of the best songs I have heard this year! "Not My Style" closes this fantastic demo. Damn... I can’t wait until these guys play some gigs and I get to hear them. If there is one unknown band that deserves a record contract, it is these guys. A must hear!!!!!!!!!!!!! !